Discussion in 'Wireless Article Discussions' started by thiggins, Dec 19, 2016. Thanks Tim. Just wondering if the 68P has any interference issues with the USB port. I was surprised you were not able to verify the cpu speed. This router certainly has aged well. Also surprised they doubled the flash but left the ram alone. I would think most would prefer 128mb of flash and 512mb of ram over its current 256/256 configuration. we'll be able to tell what the clock rate is based on the Bogomips values show there. The flash size increase is surprising (since even the RT-AC88U only has 128 MB). Maybe they use a 256 MB part but only use 128 MB out of it (of which, currently only 64 MB is currently used by the firmware partition itself, the rest goes to nvram, CFE, and the JFFS partition). 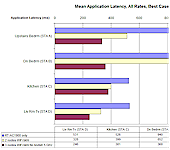 They are if you compare the same CPU at a different clock rate. Therefore comparing his BCM4709 with mine will definitely tell me if his is at 1 GHz or 1.4 GHz. 100% sure of that. I didn't mean to mislead anyone. The point I was trying to make was that the clock device seemed to be the same. So clock rate change must be via firmware. This is indeed 1.4 GHz, thanks for confirming it. I assume they would have to pay for the licence to use these additional features. What commands are you using to overclock, and i'm going to assume they don't survive a reboot. So you have a script to set clocks at boot? I'm running my LTS fork, where it was possible to overclock just with the nvram set clkfreq and commit. Got a text back from one of my contacts - so yes, "FPU and MPE items are bolt-on's outside of the primary feature set on Cortex-A9"
First, thank you for testing equipment and the networking tips. I've learned quite a lot as a consumer from reading your site. 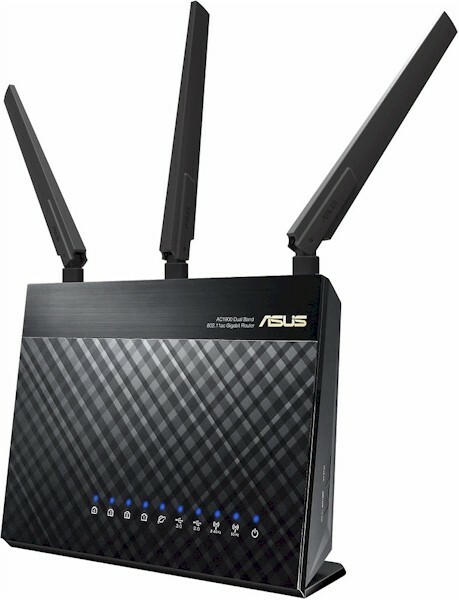 Last week I purchased the AC-1900P based on the router rankings. Went to set up today and ran into several issues and was wondering if others had experienced them. 1. While initial set-up wasn't a problem, at some point I had to reset the router using the reset button. At that point, I ran into an almost never-ending loop where the router wouldn't let me change the default user name/password but I couldn't log in with the default user name/password. Not sure but after 2-3 resets and repeated attempts with different combinations of user names/passwords, was able to finally get back into the router interface. 2. Set up rest of my network...assigned many devices to static i/p but then could not see any devices when pressing the "View List" button on the Network Map page. (It was working when there were 4-5 devices attached to the network...using both static and dynamic IP addresses.) I would like to use the "View List" feature to download list of devices, I/P addresses, MAC addresses to manage connections and keep network clean. 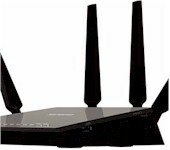 I'm at the point of giving up on the router and going with the NETGEAR R7000 Nighthawk or perhaps the Linksys WRT1900 ACS. Has anyone else experienced these issues? If so, are there any solutions? 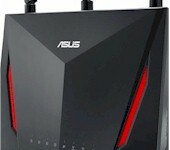 Is it possible that I simply have a bad router and should try another one? Thx in advance for any input/advice. I wouldn't get too caught up in the reliability of some of the real time monitoring features of the 1900P router. There are obviously features that could be improved. I've had some of the same issues that you are having with the "View List". Connected devices appear and disappear without reason. Some wireless devices initially show up as wired connections when I know they are wireless. Most of these issues happen when I first click to view connected devices. It seems to settle down and become more reliable over the next minute after the initial view. Yes, the real time monitoring of devices seems at times to be buggy for me too. However, I'm not even sure if the Netgear or Linksys routers have the same type of "live" real time monitoring. If they don't it wouldn't make sense to be "giving up" on the 1900P because of one unreliable real time monitoring feature that the other routers don't even have. What I can say about the 1900P is that it has been a rock solid performer... probably one of the most reliable routers I have ever owned. If you aren't already using the latest firmware I recommend trying it. I keep the firmware updated to the latest version and I use fairly conservative wireless settings... 20Mhz bandwidth for 2.4Ghz and fixed channels. 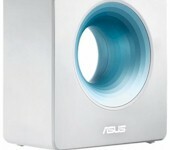 The 2.4Ghz performance is acceptable but from my experience the 5Ghz performance and reliability has been exceptional. Thx for your perspective. 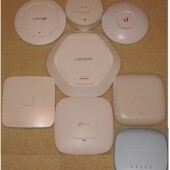 I tried the Linksys but ended up returning it...interface not as good and appeared less flexible. I also didn't like the concept of using an app to manage parental controls and other aspects of the router. I exchanged the first 1900P for a new one. The new one has worked flawlessly and is not buggy with the View List. I have noticed, however, that our MacBook Pros "hesitate" when trying to connect to the wifi network after waking up from sleep. Annoying to lose connection to the NAS drives but can live with it. Do you think using the conservative wireless settings you described would help? Prior to the 1900P, I have been using a couple of Time Capsules in bridge mode (same SSID and passwords) to create a wireless network around our house. I now have the 1900P plus a Netgear wifi extender (ethernet cable to LAN switch) creating a wifi network.